I thought it would be interesting to share some commentary about the beginning of The Bow of Destiny now that the book has been out for a while, sold well and the next book should be released in just a few months. The Bow of Destiny has a curious beginning for many people that’s at once perplexing, confusing and intriguing. This effect is done on purpose and I’ll share a bit about it now. The Bow of Destiny is written using the technique of deep point-of-view where readers hopefully become deeply engaged with the perceptions of the point-of-view character. There are a few other aspects mixed into this, one being that there are little, to no, dialogue tags in the book – all the dialogue is contextual. Secondly, with the deep point-of-view, internalization is signaled – or tagged – with physical actions by the character. As such, the internal thoughts, mood and emotions of the character are not italicized since these are deep enough into the chracter-reader engagement to not be set apart in such a way. Lastly, when italics are used it is for a specific, ongoing experience for the POV character. In such cases, hallucinations, dreams, memories, visions and other such experiences of the character are italicized as a special indicator that something different is happening for the character. I also used a present tense instead of past tense to cue the reader that this is a present experience for the character. It’s important to note that the tense only has changed and not the character POV. There are other details to consider in the opening of the book of which a reader should be aware. For instance, Athson is hunting small game when the story begins and he has a choice between his prey, a pheasant and a wild rabbit. This signifies that Athson will be presented with choices all along his upcoming journey in the series. Athson believes that he’s making the best choice for his shot with his bow and arrow – the easiest one. However, when presented with more information, he makes a split-second decision and changes his aim to the pheasant. This quick change from rabbit to bird amid varying wind conditions shows that Athson is an expert with the bow. He is also functioning under the belief that he makes good and wise decisions with the information he has. Thus the stage is set for him to begin making decisions which become increasingly difficult and challenging to him and the overall outcome. This one decision shows both what the character thinks about himself and his relationship to his world and that this belief will be challenged in ways he has not considered. Athson is a challenging character for many reasons, some of which I’ll get into during some upcoming commentary about him in this opening set of scenes. However, Athson’s choice, mixed with the discussed aspects of writing this blog series, couple to allow the reader to experience Athson’s belief in himself for good or bad. Next week, I’ll dig a little deeper into this opening scene and attempt to offer a bit more about Athson’s state of mind. I found this scene difficult, tricky and daring all at once so there are a lot of layers to what’s going in with Athson that set the stage for the whole story. Thanks for reading today. Please leave comments below and check back next week for another post about this topic. P. H. Solomon lives in the greater Birmingham, AL area where he strongly dislikes yard work and sanding the deck rail. However, he performs these duties to maintain a nice home for his loved ones as well as the family’s German Shepherds. In his spare time, P. H. rides herd as a Computer Whisperer on large computers called servers (harmonica not required). Additionally, he enjoys reading, running, most sports and fantasy football. Having a degree in Anthropology, he also has a wide array of more “serious” interests in addition to working regularly to hone his writing. 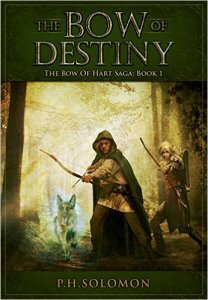 His first novel, The Bow of Destiny was named 2016 Book of the Year by Fantasia Reviews and is the first book of The Bow of Hart Saga. 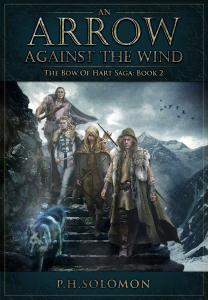 The sequel novel, An Arrow Against the Wind, was released in April of 2017 and was named Fantasia Reviews 2017 Book of the Year. 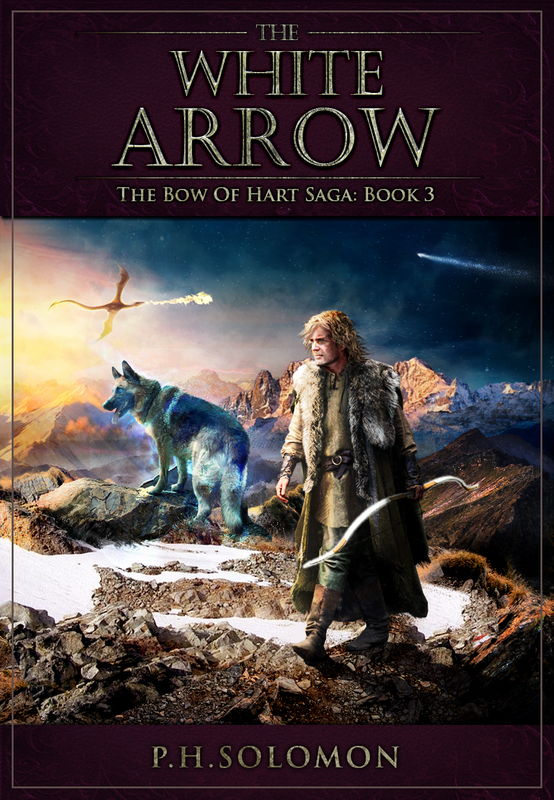 The third book of the series, The White Arrow, was released October of 2017. 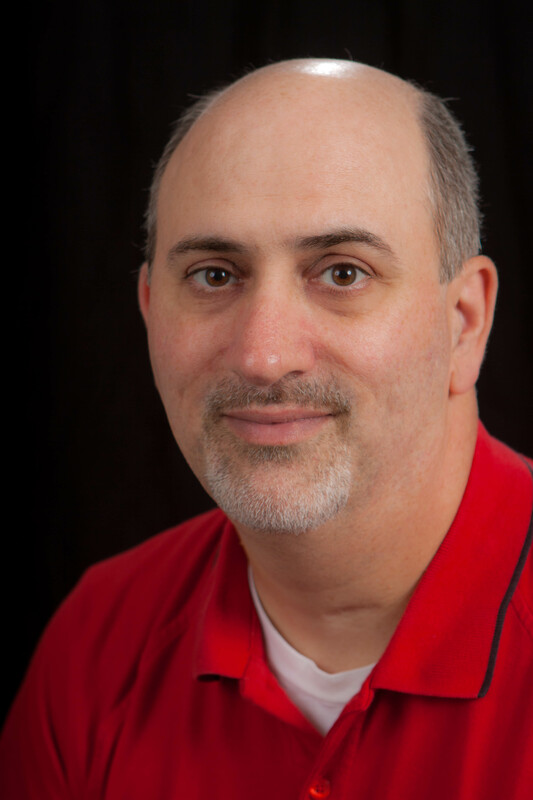 P. H. Solomon also authored the award winning short story, The Black Bag, which won best published short story at SCWC 2012. P. H. is also a member of Science Fiction and Fantasy Writers of America (SFWA).